At Venterra, we are raising the standard of apartment living through our commitment to exceptional service. Having our company culture noticed outside the organization through workplace awards and recognition is the direct result of an enormous amount of effort on the part of Venterra Experience Leaders. These individuals work tirelessly to create an atmosphere where our employees can learn, grow, and be truly excited about coming into work every single day. John Foresi has been honored as one of the 2018 Top CEOs by Glassdoor, a truly amazing achievement and a reflection of our employees’ trust in him as a leader! In the Small & Medium Company category, John was selected from more than 600,000 companies and ranked #34 of the 50 winners of this prestigious award. Glassdoor recognition is based solely on employee feedback. As part of submitting an online review about Venterra, employees are asked to rate a variety of workplace factors, including whether they approve, disapprove, or are neutral about the job their CEO is doing. Special thanks to all those employees that took time to share experiences working at Venterra, as we couldn’t have received this recognition without their reviews! This is our third award given by Glassdoor as we have also been honored as a 2016 & 2017 Best Places to Work. We are proud to let you know that Venterra has been selected again for a Great Place to Work® Institute Award, honoring the Best Medium Workplaces in 2018! 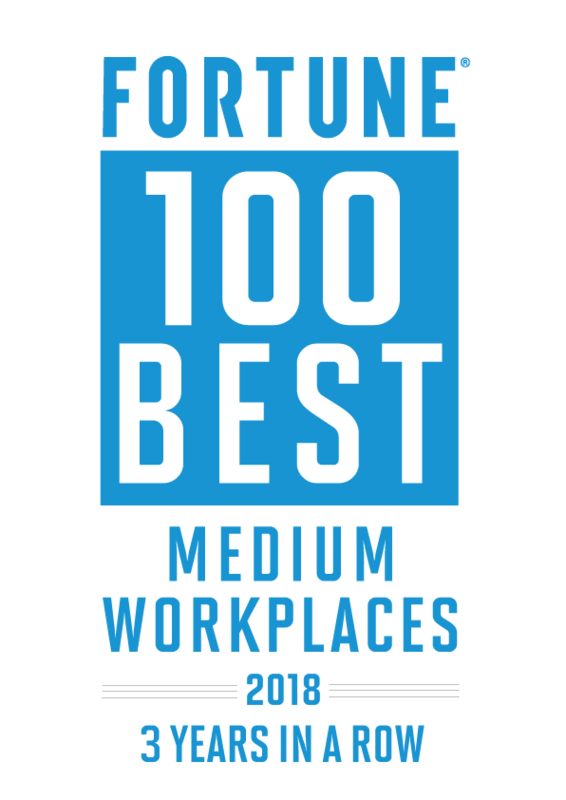 Published with FORTUNE, we are #66 of 100 in the medium company category (companies between 100 and 999 employees.) This is the third year in a row that Venterra has won this prestigious accolade. Venterra received this great accolade due to the feedback employees provided in our 9th Annual Employee Satisfaction Survey, resulting in us becoming “Certified” by Great Place to Work® Institute and eligible to be a winner of this prestigious award. 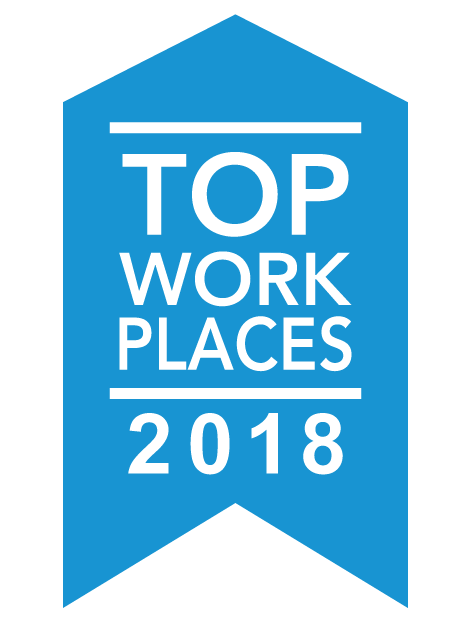 Given the evaluation for the list is based mostly on the Employee Survey, it is a true reflection of our employees’ opinions and feelings about working for Venterra, and is an amazing testament to the positive work environment, leadership and values that we’ve strived to create. Venterra is honored to have been selected as a winner of the 2018 Great Place to Work® Institute Award honoring the Best Workplaces for Diversity in 2018, as published by FORTUNE. In addition to the degree of representation in the organization, the recognition was based on survey feedback related to the experiences of women, people of color, LGBTQ people, employees who are Boomers or older, and people who have disabilities compared to that of their colleagues with a focus on the trust, pride, and camaraderie experienced in their workplace. 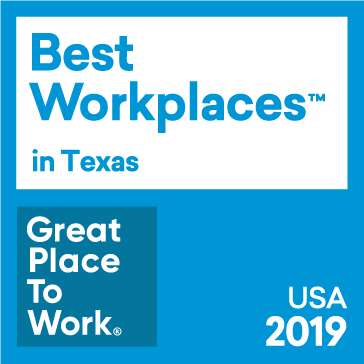 Venterra has been selected for a regional recognition for the second year in a row honoring the 2019 Best Workplaces in Texas, another Great Place to Work® Institute Award! Published with FORTUNE, we ranked #5 of 20 in the small and medium companies category (companies between 10 and 999 employees). This selective list relies on surveys from Texas employees working at companies of all sizes. Venterra received this great accolade based on the feedback provided in our 9th Annual Employee Satisfaction Survey. The results led to us becoming “Certified” by Great Place to Work® Institute and eligible to win this prestigious award. 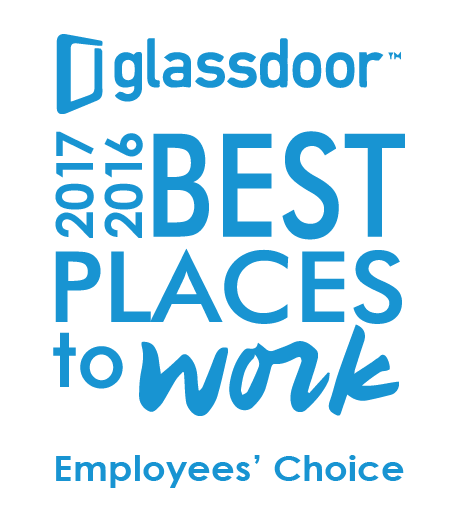 We’re among the winners of the Glassdoor Employees’ Choice Awards, a list of the Best Places to Work in 2017 and 2016! In the small & medium company category, we’ve been selected from more than 700,000 companies on Glassdoor which had 1.6 million reviews submitted during the time of eligibility. Winning companies are evaluated based on the quality, consistency, and quantity of employee reviews among a number of other factors. This recognition is based solely on input from employees. Be sure to check out our Glassdoor profile! 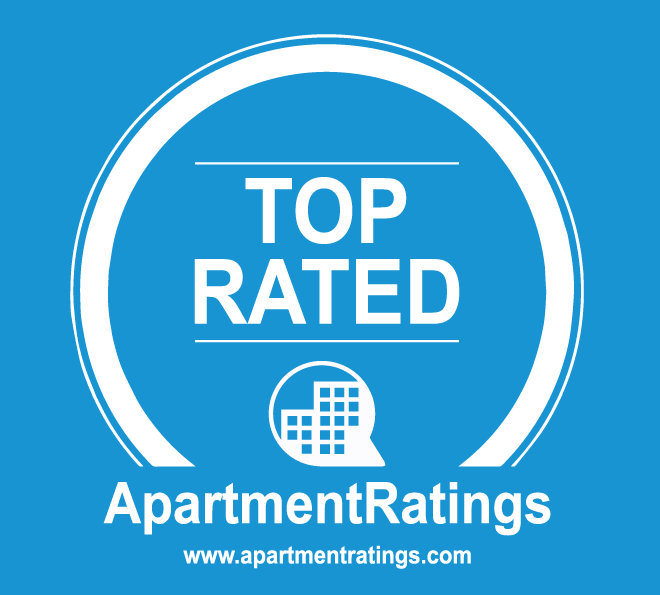 We are proud to have 100% of our communities recognized as one of ApartmentRatings.com Top Rated Award recipients. Only 5% of apartment communities in the US qualify for this award. We are honored to once again be recognized as a Houston Chronicle Top Workplace! This is the third time the Houston Region has won this achievement. We’re excited to announce that Venterra placed #4 of 50 of the mid-size businesses in the Greater Houston Area. This recognition was based solely on employee surveys and was conducted by the independent research group, Energage. In addition to this amazing recognition, Venterra was also recognized for one of Energage’s Special Awards, the “New Ideas Award”. Venterra ranked #1 in Houston as it related to the statement, “New ideas are encouraged at Venterra Realty.” Given our commitment to innovation and finding a “Better Way” over the years, this has special meaning. in North America! 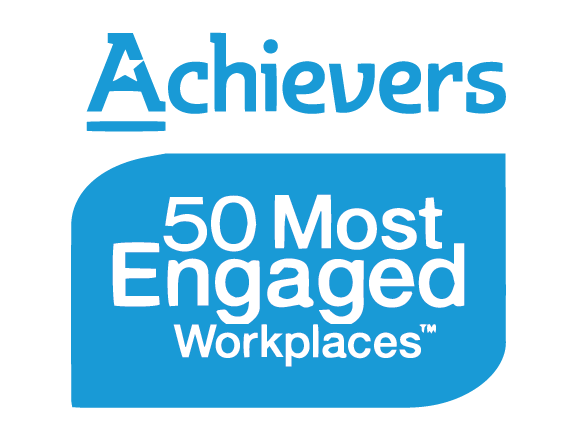 The Achievers 50 Most Engaged Workplaces™ Awards recognize the top 50 employers in North America based on these Eight Elements of Employee Engagement: 1) Leadership 2) Communication 3) Culture 4) Rewards and Recognition 5) Professional and Personal Growth 6) Accountability and Performance 7) Vision and Values 8) Corporate Social Responsibility.